About Blank Malware | How To Remove the About Blank Pop Ups? You might have seen empty pages like About blank, about: blank or about_blank pop-ups on your Google Chrome, Firefox, Microsoft Edge and many other web browsers. These ‘about blank’ pages are not potentially harmful to your Windows computer or Mac; they are just a part of the several about:[command] options available within the about collections of web browsers. Is About Blank a Malware or Virus? Many people think that ‘about blank’ is a harmful malware sneaking its way onto their PC through the internet. But in reality, ‘about blank’ is just a blank web page displayed by the web browser when the web browser finds itself in a situation where it needs to show you a blank page. Like mentioned earlier, about_blank or ‘about blank’ is just one of the about:[command] options available in the browser. These about:[command] options can be used to execute a particular function within the browser. By prefacing the command with about, web browsers are instructed to do some local tasks, internal thing, and not visit an actual web page. How To Stop About Blank Popups in Your Browser? Although about: blank seems like a useless browser feature (loading a blank page), it is one of the most commonly used about command options in the web browser. It isn’t malicious on its own, if you do see an ‘about blank’ page outside of your usual browsing, then it can be an indication your computer is infected with something malicious. If you happen to see the odd about_blank or ‘about blank’ page when you are in Microsoft Edge or Google Chrome, for example, there is no need to panic. However, if you see ‘about blank’ page many times on your web browser without altering your browsing behavior, there may be a possibility of a hacking attempt made on your computer or a hijacker has control of your computer. Some malware programs use the ‘about blank’ pages to overwhelm a computer user with annoying pop-ups, but the ‘about blank’ pages alone will not cause damage to your computer. Seeing about:blank in your web browser doesn't necessarily mean there is a hidden malware. That said, seeing the about:blank as your home page when you didn't set it like that, or seeing it all the time when you search for real websites, can indicate a malware infection on your computer. If you see such pop-ups on your computer screen, the best thing that you can do is to run a full system scan of your system using good antivirus software or anti-malware program such as the Comodo Antivirus. This will remove any hidden malware quickly. You can also reset your web browser homepage URL. 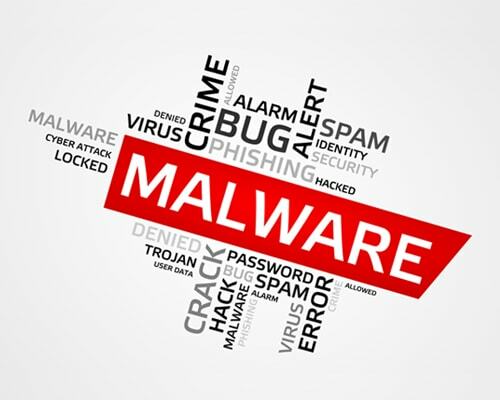 In case of organizations, Comodo Advanced Endpoint Protection (AEP) can be used to protect every endpoint from malware intrusions. Comodo AEP provides complete protection against any malware attacks including ransomware attacks and zero-day attacks. All thanks to the built-in containment engine of Comodo AEP, any contain unknown files including zero-day malware in a secure virtual environment. As always, prevention is better than cure. If you have a good security solution and run frequent backups, you shouldn't have any problems.